When you have a specific area of collecting interest; a focus that keeps your eyes peeled for items that are beyond the realm of the obvious, you will eventually discover the oddities or atypical pieces that you wouldn’t have intentionally sought out. Collecting can be fun when these discoveries surface, prompting you to act quickly in order to secure the piece for your collection. Since I started collecting militaria, I have progress from a somewhat broad stance; being very unfocused and undiscriminating about what I would acquire. Lacking in direction can be problematic in that your collection grows in such a manner that you have glaring vacancies that would have otherwise helped to convey the story that you want to tell with your collection. For example, one area (of militaria collecting) that has piqued my interest baseball within the armed forces (uniforms, equipment, photographs, ephemera). Because I remain diligent in keeping my attention on this particular sport, I have abstained from allowing myself to be distracted by other sports-related areas. I have passed on several very impressive pieces that are football-oriented and would be great for a military-sports themed collection. However, these items would have detracted from focus while diverting funds away from another piece that would have been a perfect fit. Being geographically-centered on my home region, I have been seeking out naval militaria that relates to my home state. Again, what I have been interested in are pieces that have ties to any installation, operation, event, person and, in particular, naval vessels named for cities and geographic features located within my home state. This mini quest has yielded some interesting artifacts that are predominately of the ephemera and antique photographic variety. Two of the most recent pieces (that are not paper or pictures) are not artifacts derived from the ships or the men who served aboard (having a flat hat with a ship’s tally are like gold) but are, instead, commemorative items that may have been presented to crew members. I am not at all interested in collecting souvenir spoons but I made an exception for these two examples from historic ships. The first spoon that I found a few years ago was in an online auction. The ornate design combined with the silver content made it easier to pull the trigger on purchasing. That it was from a ship with a great history and was named form my hometown made the purchase a no-brainer. The USS Tacoma (Cruiser No. 18) is not only a veteran of five World War One convoys, she also escorted the (then) recently discovered remains of Revolutionary War naval hero, John Paul Jones to the United States from France. 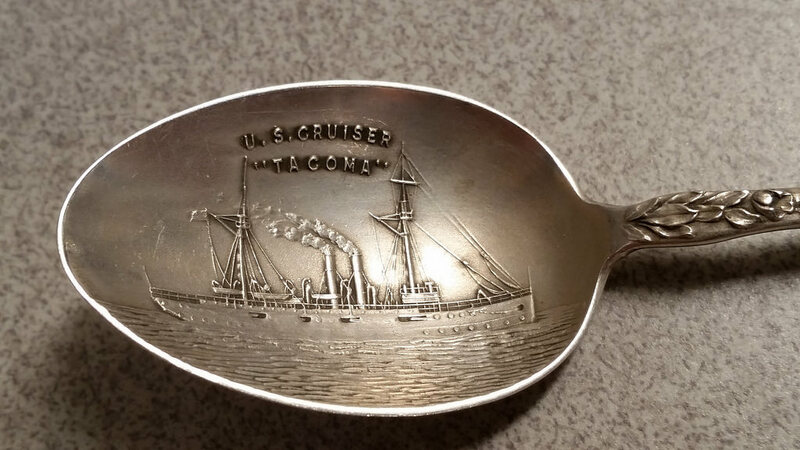 The USS Tacoma spoon is far more ornately decorated with fine details – embellishments of various aspects of Washington State and the city of Tacoma. The second spoon in my collection arrived just a few days ago – again, purchased from a seller in an online auction. This spoon, slightly longer and more broad than the USS Tacoma example, commemorates the Armored Cruiser, USS Washington (ACR-11). 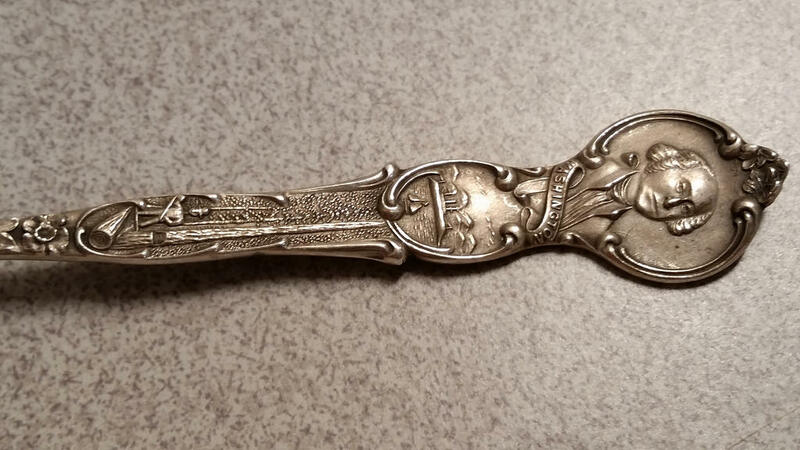 This spoon, along with the relief of the ship (in the spoon’s bowl) has “Christmas 1911” imprinted, indicating that the spoon may have been given to crew members for that year’s holiday. By 1916, the USS Washington was reclassified and renamed USS Seattle. She went on to serve as a flagship during Atlantic convoy operations during WWI. After the war, the Seattle would be relegated to training duties and then as a receiving ship before being scrapped during WWII. The armored cruiser, USS Washington is beautifully captured in relief in the spoon’s bowl along with the details commemorating Christmas of 1911. I have had no success in my research attempts regarding either of these pieces beyond what is imprinted on either one. For now, I am content with having them as artistic enhancements to my collection. People start collecting military patches for a number of reasons. Considering that all branches of the United States armed forces use embroidered emblems for a multitude of purposes ranging from markings of rank and rating to unit and squadron insignia, invariably, there is something worthwhile to catapult even the non-militaria collector into pursuing the colorful cacophony of patch collecting. My own participation in collecting patches originates with my own service in the navy. What began back in those days as an effort to adorn my utility and leather flight jackets with colorful representations of my ship and significant milestones (such as deployments) morphed into a quest to complete a shadow box that would properly represent my career in the service. Many of the patches I acquired while on active duty never found their way into use and were subsequently stashed away. It was not until I began to piece together items from my career that my patch collecting interest was ignited. Like many other military patch collectors, I expanded my hunt from a narrow focus to a much more broad approach. As I pursued patches for another shadow box project (for a relative’s service) I started to see “deals” on random insignia that I just couldn’t live without. It wasn’t before long that I had a burgeoning gathering of embroidered goodies from World War II ranging from those from the US Marine Corps, US Army Air Corps/Forces and other ancillary US Army corps, division and regimental unit insignia*. For the sake of preserving what little storage space I had available, I throttled down and began to narrow my approach once again. In keeping with my interest in naval history in concert with my passion for local history (where I was born and raised), my military patch collecting went in a new direction. In the past several years, I have slowly acquiring items associated with several of the ships with Pacific Northwest connections. Aside from readily available militaria associated with the USS Washington, USS Idaho and USS Oregon (all of which have stellar legacies of service). items from the ships named for the various cities (in those states) pose much more of a challenge to locate. When it comes to collecting patches, that difficulty is exponentially increased. Of the many ships named for locations or features within Washington State, the four ships named for the City of Tacoma leave very little for a military patch collector to find, considering that only one of the four served in the era when navy ship patches came into use. 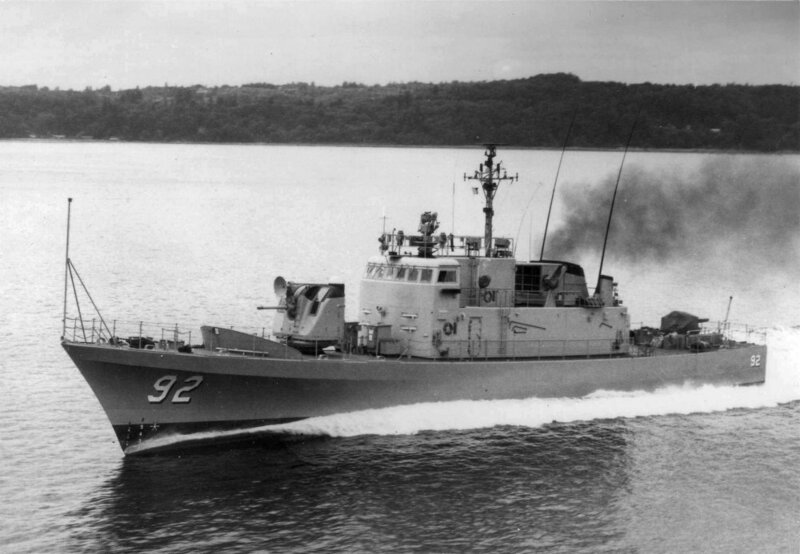 The USS Tacoma (PG-92), a patrol gunboat of the Asheville class was actually built and commissioned in her namesake city, served for 12 years in the U.S. Navy from 1969 to 1981. Though her career was relatively brief, she spent her early years operating in the Pacific and in the waters surrounding Vietnam conducting patrol and surveillance operations, earning her two battle stars for her combat service. 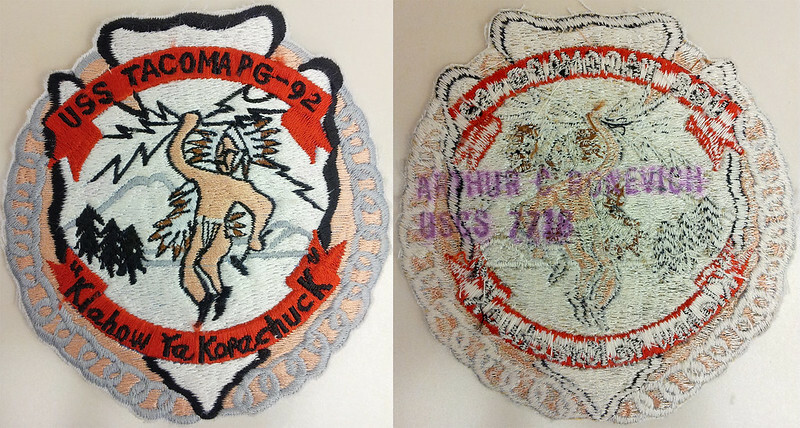 While searching for anything related to the USS Tacoma (all ships) last year, a patch from the PG-92 showed up in an online auction that really spoke to me. It was rather expensive and there were many bidders competing for the patch, so I let it go without participating. A few months later, another copy of the patch was listed prompting me to watch for bids. With no bids after a few days, I set my snipe with the understanding that someone is going to exceed my price. One bid came in seconds before the auction closed but my snipe hit at the very last second which resulted in successful outcome for me (winning the auction). It wasn’t until it arrived that I saw the ink-stamp mark on the back. It might be a bit of a detractor, but it certainly isn’t a deal breaker for this vintage 1970s-era patch. However, the patch I received most recently gives me pause. The second USS Tacoma patch looked fantastic when viewed online even with the staining. The flag-theme evokes memories of 1975-76 and the celebration of the bicentennial of the signing of the Declaration of Independence. On the blue canton, the “PG” encircled by the stars (there are only 10 rather than 13) refers to the hull classification of the ship. Besides the incorrect count of stars, the backing material and the construction of the embroidered edge lead me to believe that this patch was made in Asia. The staining seems as though it was added to the patch to give it some aging. This USS Tacoma patch seems to be a recently manufactured item. I have my doubts as to it being an original mid-1970s era creation. 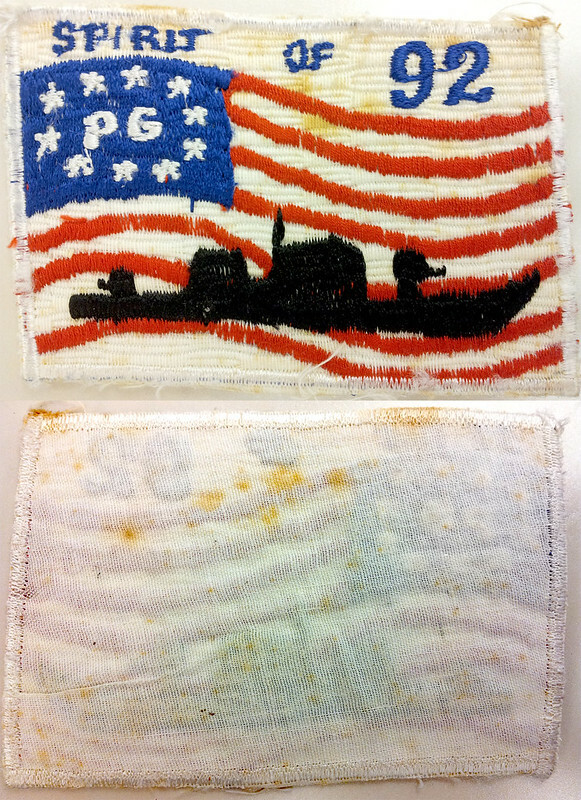 Another indication of (what I believe to be) the Spirit of 92 patch’s recent manufacture is that it smelled new. I opened the mailing pouch and the scent of new fabric (rather than a musty odor) wafted out which seems quite strange for an old patch. Regardless of the veracity of the age, both patches are excellent additions to my meager collection.